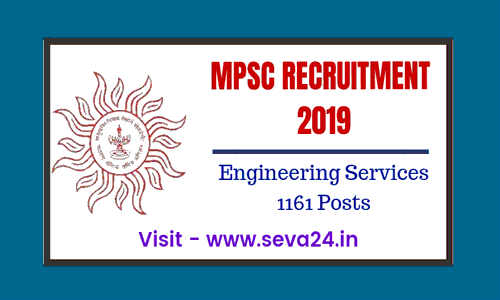 MPSC Recruitment 2019-Apply Now- Engineering Services. MPSC Recruitment 2019 | Maharashtra Public Service Commission has been published Postmaking advertisement for various posts and applications are being invited from eligible candidates, the last date for apply online application date.23/04/2019. महाराष्ट्र लोकसेवा आयोगा मार्फत विविध पदाच्या जागांची पदभरती जाहिरात प्रसिध्द झाली असून पात्र उमेदवारांकडून अर्ज मागविण्यात येत आहेत, ऑनलाईन अर्ज करण्याची शेवटची तारीख दिनांक. 23/04/2019 पर्यंत आहे.